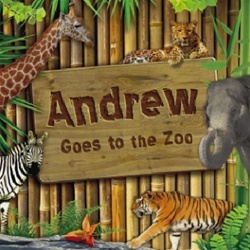 This animal-themed book is perfect for kids who love going to the zoo: develop your child's interest in animals, have fun searching for your child's name with every page turn, and get your child interested in reading by teaching them their own name. This square 8.5 by 8.5-inch book comes in a sturdy hardcover or softcover version that can go anywhere your child likes to read. 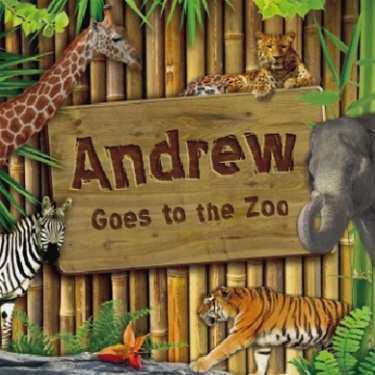 Goes to the Zoo is made with state-of-the-art technology that integrates your child's name into different images. 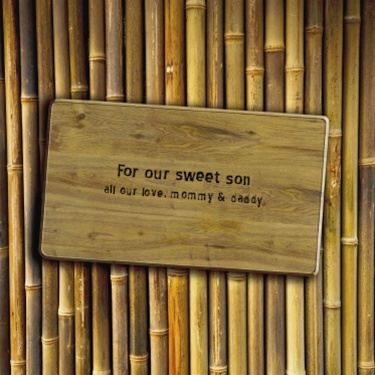 As your child rediscovers their name in the story again and again, the high quality paper and print ensure that the memories of this special book will last for years to come. This is the second one of these I bought. One for my nephew and one for my great niece; one was soft back and one was hardback. Neither disappointed. So happy with both! Bright, vibrant colors and names of animals as well and seeing their name all over the book making them feel that much more special. And they keep for years and years. Great buy! Highly recommend.